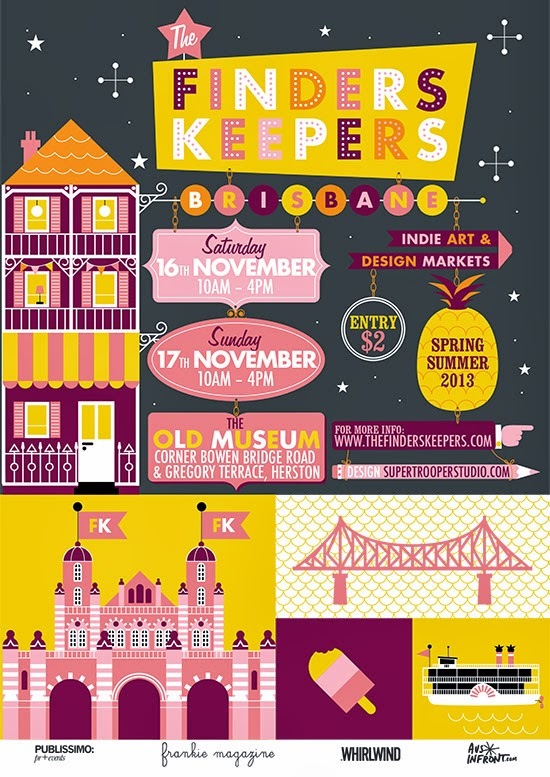 I'm so excited to be part of the Brisbane Spring Summer 2013 Finders Keepers market on this weekend. I'll be in the third room along with lots of lovely crafters and designers. Here's all the details for those of you coming along! For more details including directions head here.